So many dream of the day they can have an outdoor living space. While we are daydreaming, budgeting and getting a plan together to make that dream a reality, let’s look at what’s on trend in outdoor living. 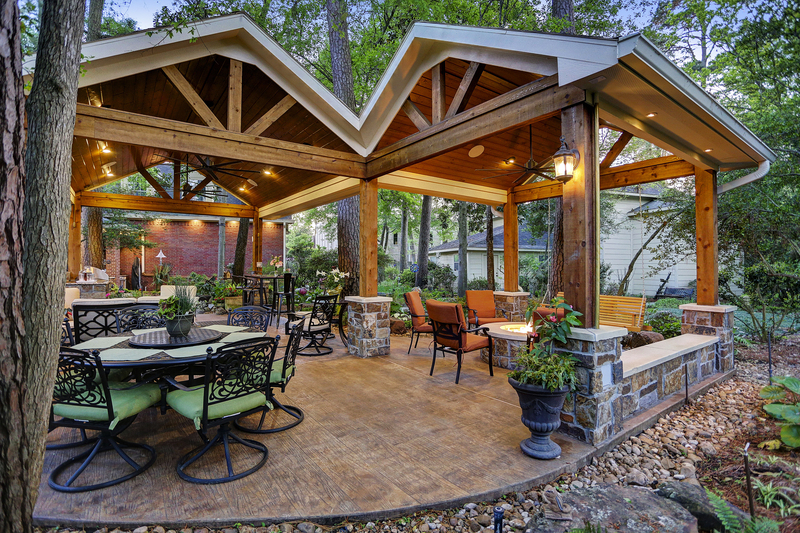 We specialize in custom building your outdoor oasis to fit seamlessly with your home (including all of the above trends), so you can’t tell where your existing home stops and your new covered patio begins. If you have a completion date in mind we have a nifty guide to help you know when to call us and get started! Often times we show you featured projects and give you the finished details, but omit all the hard work details between the before and after pics. So here’s a look back at last month’s featured project and some of the grittier details of what it takes to do a project like this. This home needed an updated look in the backyard. They had a small pergola over a small patio that just didn’t give them the outdoor living space they needed or wanted. The homeowner wanted a Tuscan/Old World look similar to the photo below. Texas Custom Patios added 705 Square Feet of covered space with this outdoor living space. This is in line with one of our medium scale design/build outdoor living projects. The cost for something similar to this will range between 50-70k depending on final selections. We completely changed the look from an early 2000’s style to a Tuscan, classic vibe. On average this sized space will take 2-3 months of build time and take a few months of planning. From the day the contract is finalized, we are roughly 4-5 months to completion! How Long Does it Take to Build a Porch? Actual construction of a porch can take anywhere from three to 16 weeks, depending on project complexity and the availability of the construction crews your porch pro works with. But the entire process, from design to permitting to final construction, can take up to six months, says Douglass of Texas Custom Patios. Our very own Rob Douglass was recently interviewed in a wonderful article by Houzz. So many great questions were answered, like: What to consider before building a porch, what’s the upkeep like, the difference between materials and how much does it cost? Find some shade and enjoy the good read, by clicking here! Celebrate Christmas in July with us by clicking the image below! 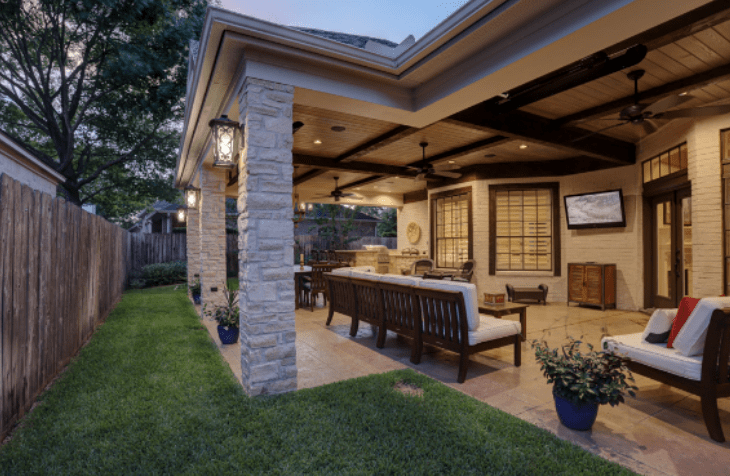 Discover details of this beautiful covered patio in Houston. 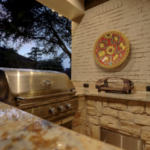 Click the image below to discover details of this gorgeous covered patio with a Hill Country style east of Plano. Click on the image below to discover details about this gorgeous traditional project in Irving, TX! Click the image below to discover details about this traditional project with a hill country feel in the Tomball area. Click the image below to discover details about this stunning Mediterranean covered patio in the Memorial area of Houston. Click the image below to discover details about this simple traditional covered patio in Grand Prairie. I am totally satisfied with my new patio. The whole project was done very well and I recommend Texas Custom Patios to anyone – all my neighbors and friends were impressed.